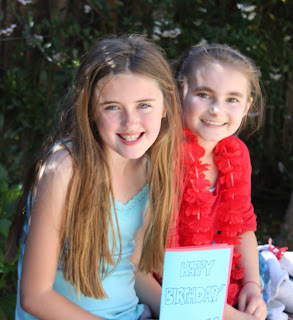 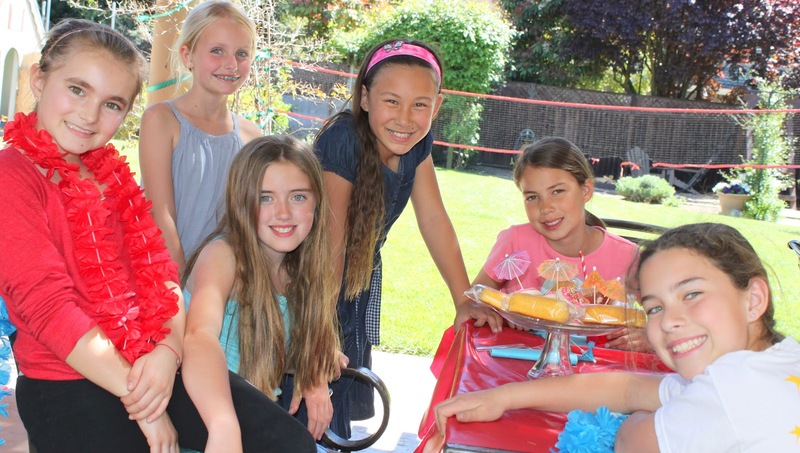 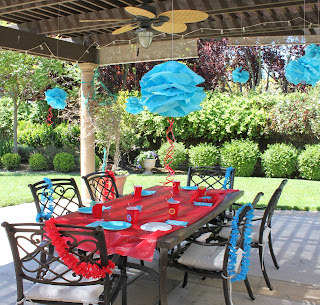 This year, we had a more simpler and smaller birthday party than last year. 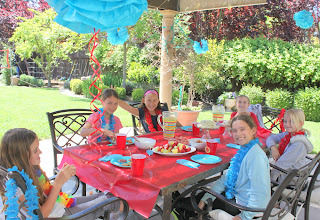 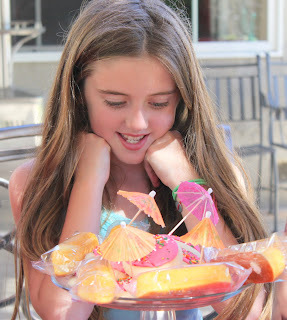 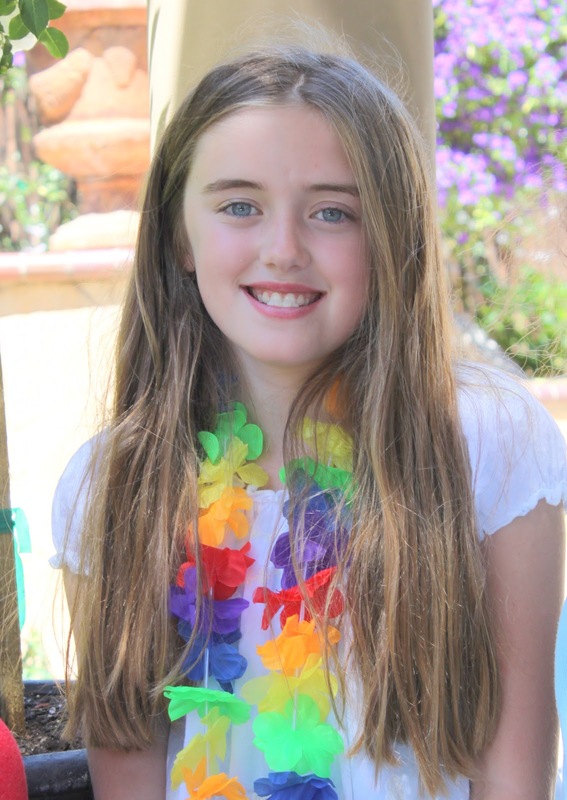 Chelsea just invited a few friends from her class and we had a Hawaiian themed lunch. 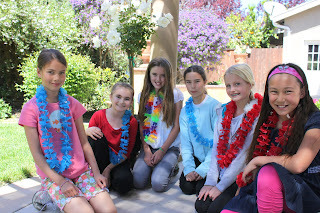 The girls came over Thursday after school. We were missing Madison who has been to all of Chelsea's birthdays. Chelsea's menu of choice: Fruit kabobs, Cucumber sandwiches, jam sandwiches, salami/pretzel/cream cheese rolls. We headed to the Diddams Store to play a price game. 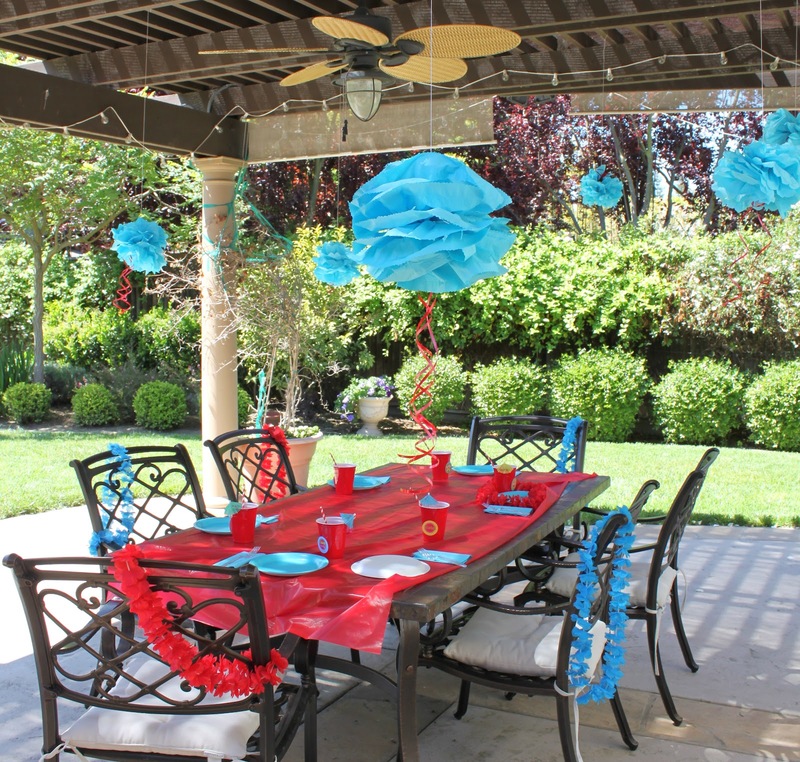 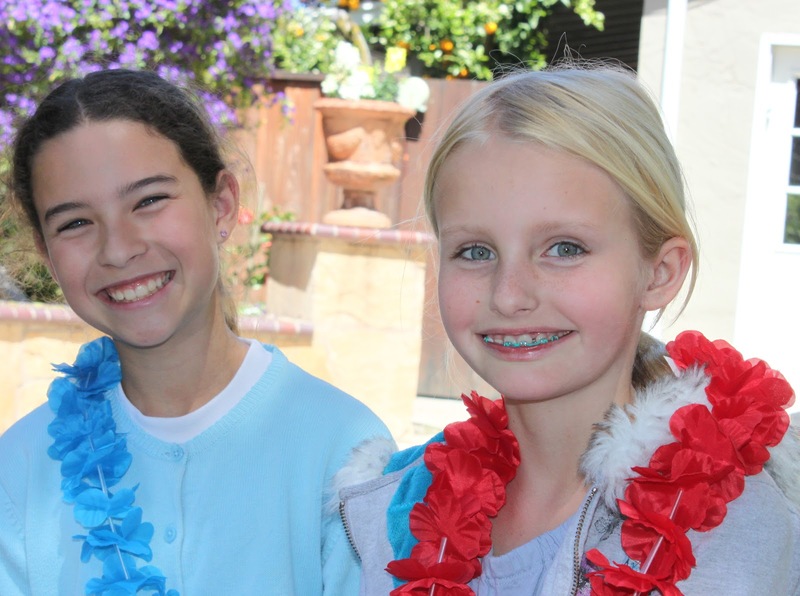 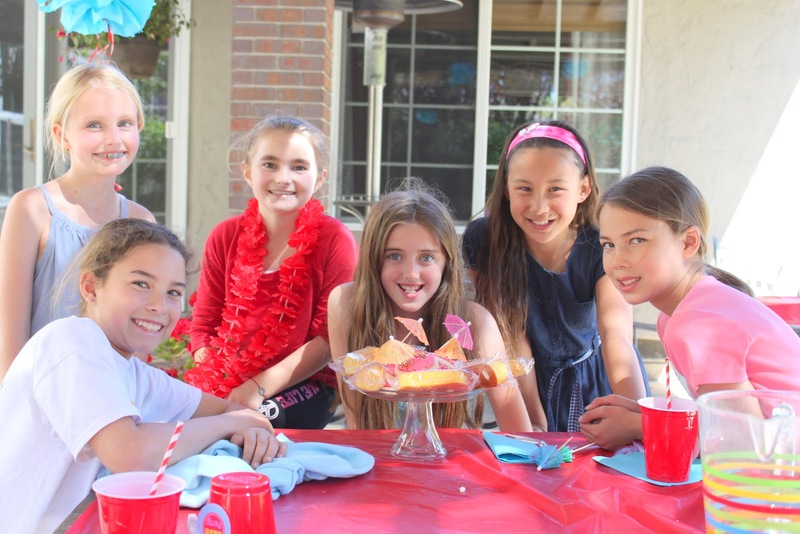 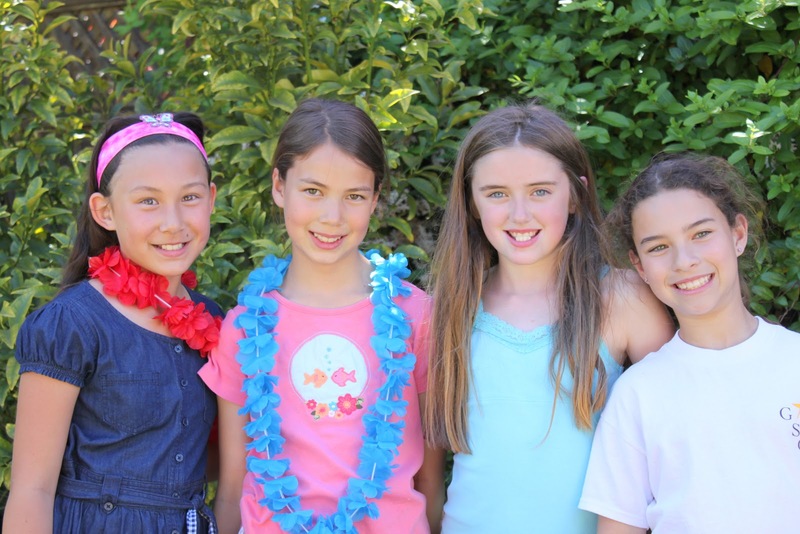 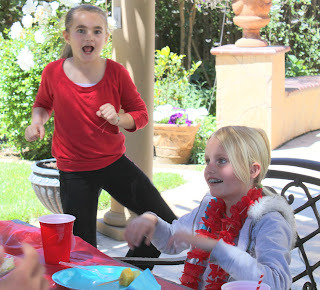 The girls were on a blue and red team based on their lei color. 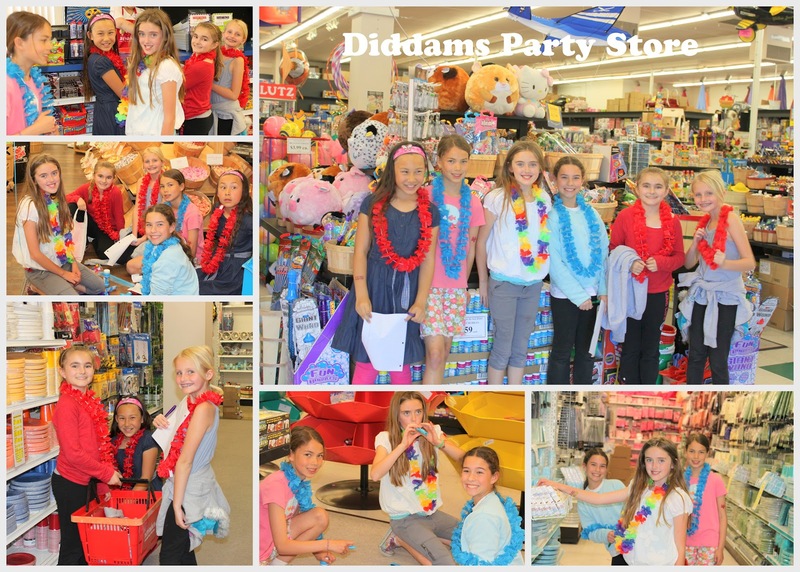 Each team was given $10 to spend at Diddams Party Store and see how many things they could get in their team color. 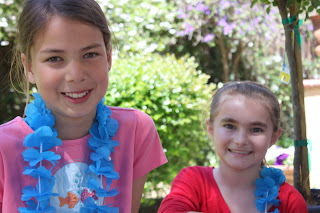 The girls then came home and played in the back yard. We had birthday cake of Twinkies and pink frosted sugar cookies. 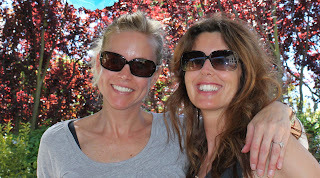 The Big Apple. . .